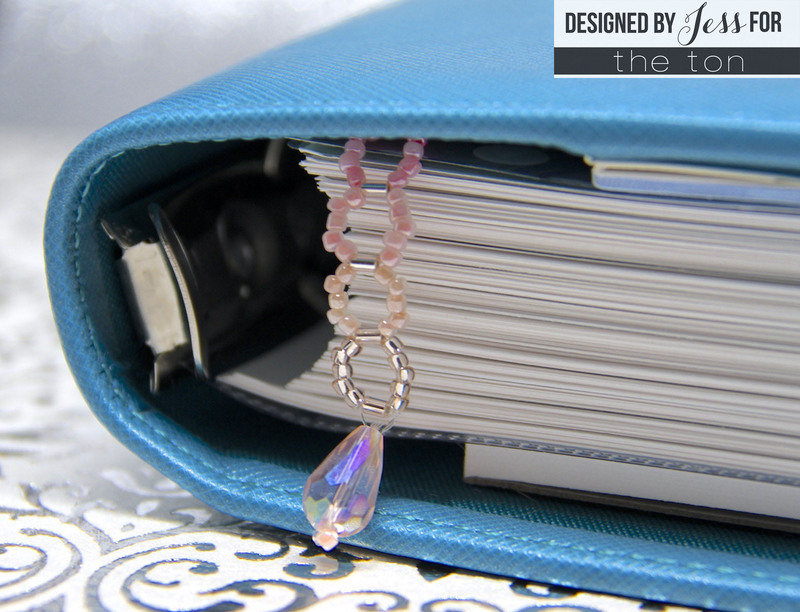 Good morning, Jess here with some fun ways of using gemstones and beads from the new Gilding Release to brighten up your planner! 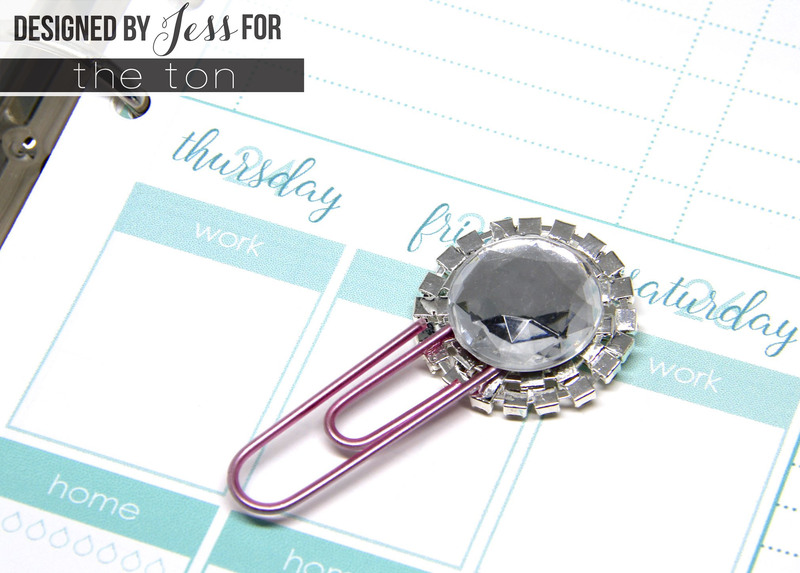 My first project uses exactly three supplies: an oversized paperclip, E6000 permanent adhesive, and a gorgeous crystal embellishment! 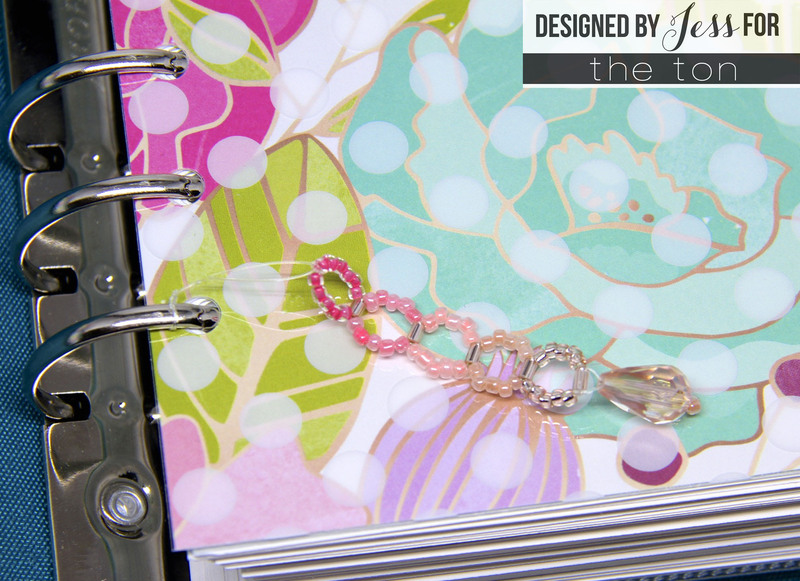 To create this planner clip I literally just put a dollop of E6000 glue on the back of the crystal embellishment, placed the top of the paperclip in the middle of the glue, and let it dry. Once it was dry to the touch (about an hour later) I added a little more glue and then pressed a round gemstone onto the back of the crystal embellishment to give it a more finished look! 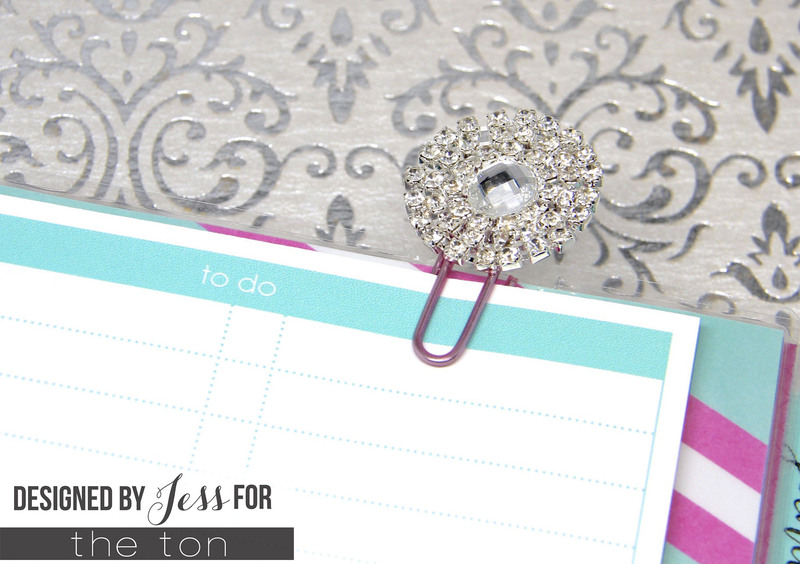 It’s bright and sparkly and the perfect way to mark my daily pages in my planner. That glue is super secure and those gems aren’t going anywhere! And then for my second project I wanted to make a charm for my planner using some of the smaller seed and bugle beads. I apologize because I didn’t think to take a photo of the process but I’ll try to explain it…I used to make these circle bracelets as friendship bracelets in middle school and I was surprised how fast it came back to me! I started off by stringing a seed bead onto a piece of monofilament and then brought the ends together and strung it through a teardrop-shaped crystal. Then I strung a bugle bead onto one strand of the monofilament and then ran the other strand of monofilament through the opposite side of the bead to create a circle. Then I strung 5 gold beads onto each strand and repeated the process of closing the circle with another bugle bead. I created 5 circles with seed beads moving from gold to pink to peach. I was very inspired by Ruby’s shaker card from earlier this week and wanted to use that beautiful ombre color scheme! So those are my projects! 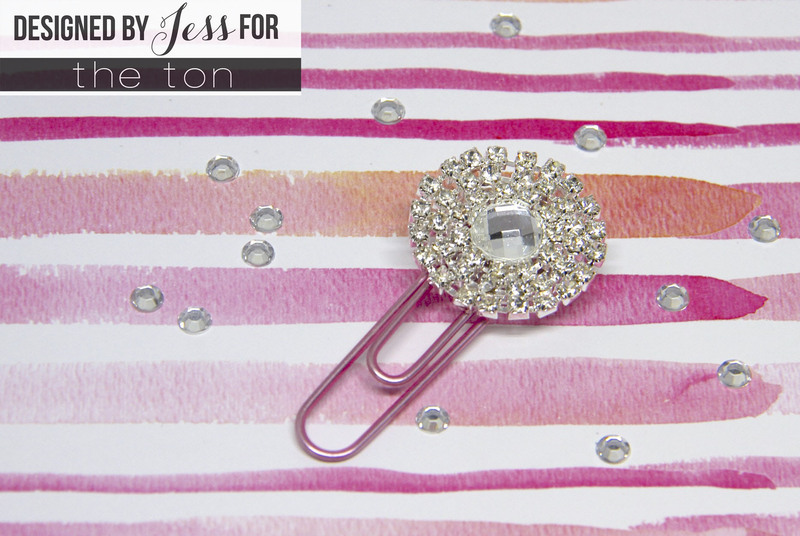 Nothing too difficult but they both do a lot to add some sparkle to my daily routine! Thanks so much for visiting and have a fabulous weekend!